All Azusa Mini-Bike Kits contain identical components, except for wheel size and type; the tires and innertubes match your wheel selection. 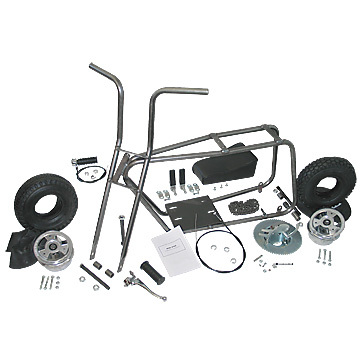 Each kit provides everything you need to assemble a complete Mini-Bike, less engine and clutch. You can choose a clutch from our line once you know what engine you will be mounting. Assembly Guidelines and parts list are included. Weight indicated on the individual product page is shipping weight; product weight is: 48.0 lbs. All Azusa Mini-Bike Kits contain identical components, except for wheel size and type; the tires and innertubes match your wheel selection. 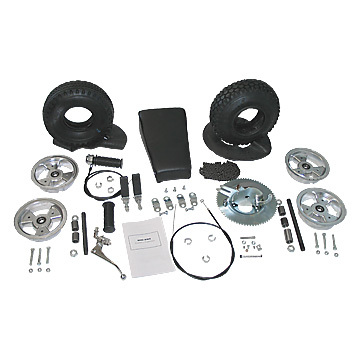 Each kit provides everything you need to assemble a complete Mini-Bike, less engine and clutch. You can choose a clutch from our line once you know what engine you will be mounting. 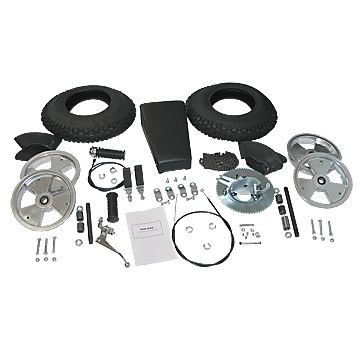 Assembly Guidelines and parts list are included. 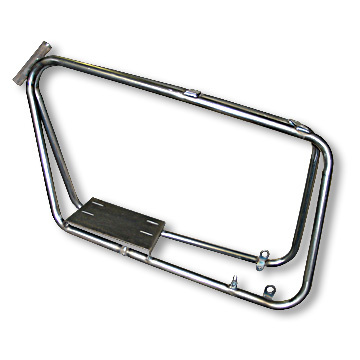 Weight indicated on the individual product page is shipping weight; product weight is: 49 lbs. All Azusa Mini-Bike Kits contain identical components, except for wheel size and type; the tires and innertubes match your wheel selection. 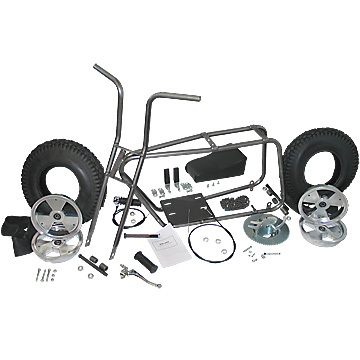 Each kit provides everything you need to assemble a complete Mini-Bike, less engine and clutch. You can choose a clutch from our line once you know what engine you will be mounting. Assembly Guidelines and parts list are included. 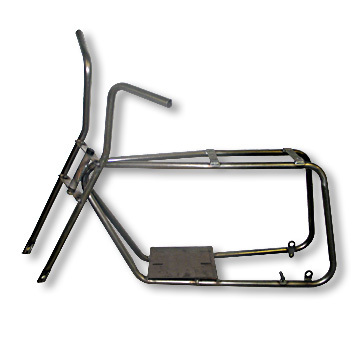 Weight indicated in the “More Info” tab below is shipping weight; product weight is: 52.0 lbs. 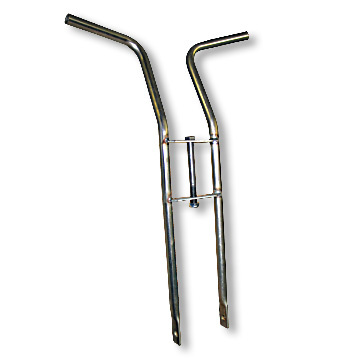 Jig welded from high quality 7/8" x .083 wall steel tubing, this Fork and Frame set is designed to accommodate up to and including 17.5" O.D. 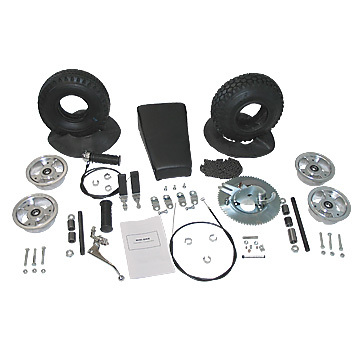 mounted tires and comes complete with engine mounting plate, front axle holes and rear axle mounting tabs. No additional welding is required. 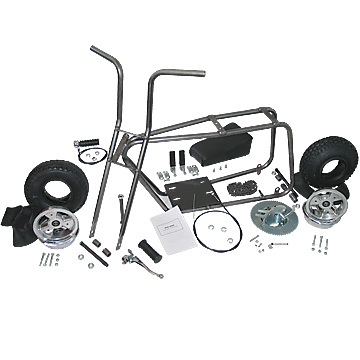 Most components needed to complete the minibike are available from Azusa's shelves. Weight indicated in the “More Info” tab below is shipping weight; product weight is: 23.0 lbs. 7/8" Tubing Actual weight 5.02 lbs. see 3545; Weight indicated in the “More Info” tab below is shipping weight; product weight is: 13.37 lbs.